Written in sparse prose, this offering from Shari Green is touching without being full of angst.Â Macy McMillan is a typical sixth grader with one exception-sheâ€™s deaf.Â In a refreshing twist, this story doesnâ€™t use Macyâ€™s hearing as a main focal point.Â Instead we are introduced to a pre-teen who is anxious about making and keeping friends, her motherâ€™s wedding, a new step family, a school project, and oh, by the way, she happens to be deaf.Â Greenâ€™s ability to relate the story through Macyâ€™s eyes sets this book apart. When Macy has a fit of temper at school she is redirected by her mother to help out a neighbor next door.Â Octogenarian Iris is going through her belongings in preparation for a move to a retirement community.Â Through hand written messages and a few signs, which work very well within the prose, Macy and Iris are able to communicate. Â Macy, who loves to garden, asks Iris if sheâ€™s named after the flower.Â Iris immediately responds by providing a book that states Iris is the Rainbow Goddess, and the story takes off from there.Â Many popular and favorite books are referenced, including â€œEl Deafo,â€ by Cece Bell. Through their love of literature and their shared task of packing, Iris teaches Macy some of the lessons sheâ€™s learned throughout her life while sharing the cookies she so expertly bakes. When the day finally arrives for Macyâ€™s motherâ€™s wedding, Iris goes missing.Â Macy interrupts the ceremony because she knows something is wrong with Iris.Â After some angst and with the help of her new stepfather, Iris is found wandering through the neighborhood her memory having given her some trouble.Â She is picked up and taken to the ceremony where she shares her cookies with the assembled party. As Macyâ€™s life moves on, she is forced to face some hard truths, but with the help of Iris the Rainbow Goddess and her advice, her perspective changes.Â The life is hard but friends can make it easier message of this story comes through but is relayed subtly.Â Winner of the Schneider Family Book Award, Macy McMillan and the Rainbow Goddess is sure to appeal to anyone struggling with the challenges of friendships in the middle grades. The heavy subject matter of the World Trade Center bombings of September 11, 2001 is here portrayed through the eyes and experiences of four middle school children.Â Beginning with typical day-in-the-life angst of a middle schooler, albeit individuals with some trauma in their past, the author leads us to the culminating event of the planes crashing into the World Trade Center and Pennsylvania and then skips ahead a year to neatly tie the storylines together. Have you ever been to an airport and spent time people-watching?Â Have you seen a face you thought looked familiar and wondered where youâ€™d seen that person before or noticed someone then sat beside them on your flight?Â This story begins with the unlikely intersection of four middle schoolers in Chicagoâ€™s Oâ€™Hare airport.Â Their lives briefly touch, then split apart again, continuing their individual journeys. Sergio is a tough, battle and life-scarred inner-city kid who has recently returned from an award ceremony in Chicago.Â When his mostly absentee father shows up and causes a gut wrenching scene with Sergio and his Grandmother, Sergio decides he canâ€™t handle school that day and instead takes the day off.Â Sergioâ€™s impulsive decision directly leads to what will become a personal connection with the bombing response. Willâ€™s father was killed in a car accident a year ago.Â Will, his mother and two sisters are returning from a trip to Disney World paid for by well-meaning community members.Â Struggling to make sense of the senseless tragedy that took his fatherâ€™s life, Will just wants everything to be the same as it was before the accident.Â Fate allows Will to find connection in his grief and begin to heal after he witnesses the Pennsylvania plane crash. Naheed is tired of being questioned about her faith and her head scarf.Â When terrorists attack the United States, she and her family struggle with the national grief that everyone feels but their grief is compounded by those who would attempt to diminish their experience because of their religion and culture.Â Naheed fears for her personal safety and the safety of her family until she is championed by those who understand hate and violence never solve anything. Aimeeâ€™s mother has a new job that uproots her family and plants them in California.Â While she is struggling to assimilate into a middle school full of sunshine and suntans, Aimee is struggling with the seemingly vacant and dismissive attitude of her mother.Â When a new friend suggests Aimeeâ€™s parents are divorcing, Aimeeâ€™s anxiety skyrockets until she canâ€™t take anymore.Â She and her mother have a very strained call the evening of September 10.Â Feeling regretful the next morning, Aimee calls her mother from Los Angeles at 5:30 am Pacific Time to New York City, 9:30 am Eastern Time, where her mother is headed for a business meeting at 1 World Trade Center. Nora Raleigh Baskin marches her characters toward an event no-one could predict and illustrates how the national tragedy of September 11, 2001 impacted ordinary lives.Â According to the author, the story was written in a way that is relatable to middle schoolers because they werenâ€™t alive in 2001.Â In order to more intimately absorb the importance of what happened on that eventful day Ms. Baskin has Â effectively unfolded history through the eyes of characters, relaying emotion, thought, and experience as if the event had happened yesterday. The subject matter in this book will always be disturbing however the story is told.Â This book is appropriate for children 4th grade and up.Â It is important to share this book because we must never forget this event, those who died that day, and the impact it had on the nation.Â We must always remember, â€œThose who fail to learn from history are doomed to repeat it.â€ Sir Winston Churchill. 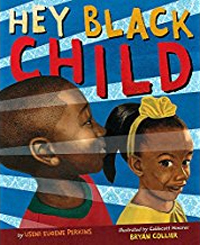 February is Black History Month.Â Introducing the accomplishments of some of our descendants to children when they are very young is a good way to honor these extraordinary Americans.Â I took a look at offerings from the Childrenâ€™s Department at Joplin Public Library and chose some old and new favorites to consider using. 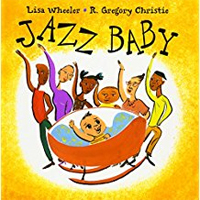 Â Jazz Baby by Lisa Wheeler is a rhythmic, melodic romp through a day with a baby not yet old enough to walk.Â â€œMama sings high.Â Daddy sings low.Â Snazz-jazzy Baby says, â€˜Go, Man, Go!â€™â€Â The story is written almost as a lyric and captivates young audiences, which is magnified by the energy of the reader. Whatâ€™s Special About Me, Mama? 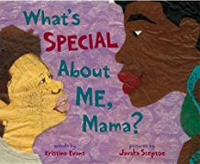 By Kristina Evans features a young child who sees himself in the faces of his family and wants to be told what makes him special.Â His questioning is answered in a loving way by his mother, who reminds him that all the little things aboutÂ him add up to the special person he is. h her perseverance and unrelenting hope. 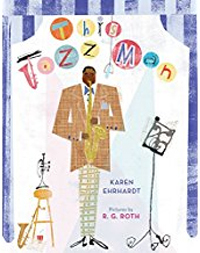 This Jazz Man, by Karen Ehrhardt plays with the rhythm and sounds of jazz, translating music into sound so that read aloud, the story becomes music.Â The accompanying CD for this book features performance from legendary Jazz Men, who are also featured in the end pages. 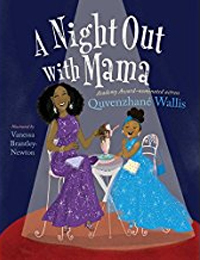 A Night Out with Mama, is written by Quvenzhane Wallis, who is written also the main character in the book.Â Quevenzhane is the youngest person ever to receive an Academy Award nomination for Best Actress.Â This multi-talented young woman wrote of her experience attending the Oscars with her mother. 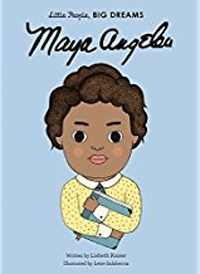 Her fresh, authentic voices comes roaring through in this simple story of accomplishment and celebration.